Latin America's longest-running guerrilla group is FARC Colombia - full name; Revolutionary Armed Forces of Colombia - People's Army (FARC-EP). The movement's long and complex history dates back to the 1960s, although it's orgins lie in events that took place in 1948. So often in history, huge conflicts are sparked by apparently small events. And so it was in Colombia. As Europe emerged battered, bruised and bankrupt from World War II in the mid-1940s, Colombia was enjoying relative stability and prosperity. But as with many Latin American countries, much of Colombia's economic wealth remained in the upper echelons of society, failing to filter down to the poor. 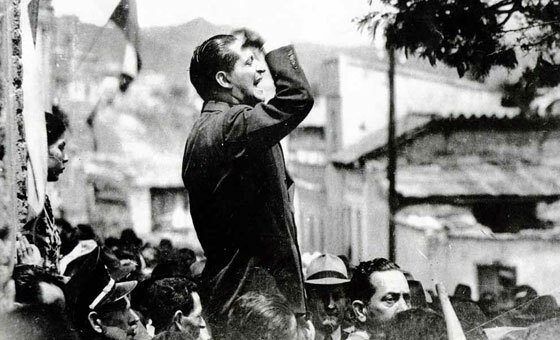 In the 1930s, a populist politician called Jorge Eliecer Gaitan had founded a leftist movement which called land reforms, improved health and education among others. By 1948 Gaitan had become leader of the Colombian Liberal Party and was widely touted as the country's next president (elections were to be held in 1950). On 9 April 1948, while walking with friends along a Bogota street, Gaitan was shot dead. As news of the populist leader's assassination spread quickly, the Colombian capital erupted in a wave of violence known as the 'Bogotazo'. The violence between Gaitan's Liberal supporters and Conservatives spread outside Bogota into the countryside where it would rage for a further decade killing more than 300,000 people. Eventually a peace deal was brokered (known as the National Front) whereby the two sides would alternate terms of 4 years in office until 1974. During the first conservative term in office as part of the National Front, a policy was put in place that confiscated land from small farmers in order to create larger, more efficient farms to produce more revenue for the economy. The poor farmers and peasants reacted angrily and numerous 'resistance groups' emerged for the purpose of protecting their farms, lands and livelihoods from the government forces. In 1964, a group of resistant fighters formally founded the Fuerzas Armadas Revolucionarias de Colombia (Revolutionary Armed Forces of Colombia) or 'FARC'. The group was headed by Manuel Marulanda, nicknamed 'Tirofijo' ('Sureshot'). Towards the end of the 1970s cocaine had appeared on the Colombian landscape and had begun to create great wealth for its early traffickers. Having initially spoken out against the drug trade, FARC Colombia soon realised that they could generate significant funds by placing taxing its production. Their other, more traditional source of income was from ideological comrades in the USSR. 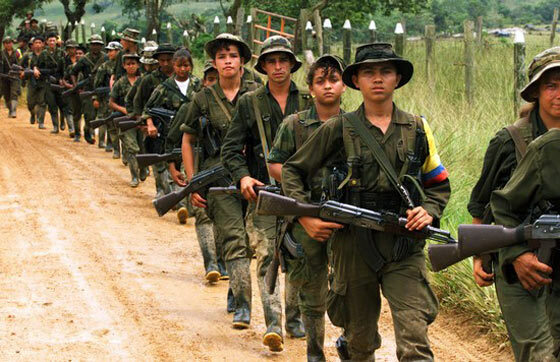 In addition to financial support, the Soviets provided the FARC with military training and weaponry. By the second half of the 1980s and into the 90s, the FARC's guerrilla movement was to be somewhat overshadowed by the war on the drug cartels. With the death of Pablo Escobar in 1993 and the subsequent demise of his cartel along with the large Cali cartel, attention again focussed on the country's political violence. The 1990s had seen FARC attacks move from the countryside into urban centres as well. Car bombs and attacks on military installations were frequent. In 1998, Andres Pastrana was elected President of Colombia. Pastrana struck a deal with the FARC, granting them 42,000 squared kilometers of territory in return to a cessation of violence. During the 4 years of Pastrana's term, negotiations moved slowly. While the President's intentions were noble, the FARC took advantage of this generosity to strengthen its army. The ceasefire ended on 21 February 2002, and the military conflict began once again. Just two days after the ceasefire ended, Colombian politician and presidential candidate Ingrid Betancourt was kidnapped by the FARC. Betancur would be the FARC's most famous hostage, and so an important bargaining chip. In August that same year, Alvaro Uribe replaced Andres Pastrana as President. Uribe was elected on an anti-FARC ticket. 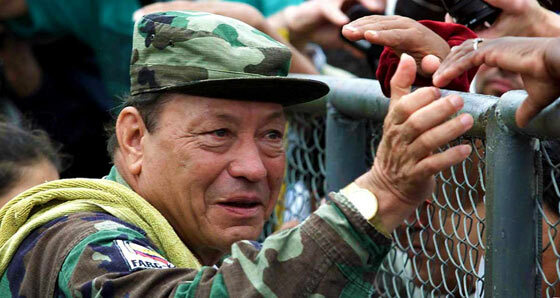 He pledged to push the FARC Colombia back into the jungles and mountains by taking the fight to the guerrilla. And that is exactly what he did. Over the coming years the Colombian army were able to deal some considerable blows to the FARC. But it was 2008 that proved to be the definining year in Colombia's civil war. On 1 March 2008, news emerged that the Colombian army had carried out a raid on a FARC base with the guerrilla suffering several casualties. 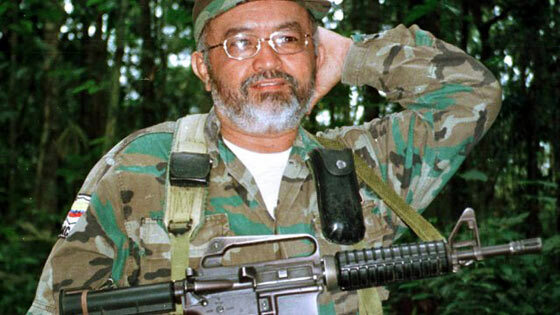 Among the dead was Raul Reyes, the FARC's 2nd in command and their international spokesman. It was a significant victory for the Uribe government. However, the attack caused serious diplomatic problems. The air strike had been carried out on a FARC base across the border in Ecuador. The Ecuadorian government were enraged as were the country's other left-wing allies in the region, including the Venezuelan president Hugo Chavez. Later that month, more bad news was to befall FARC Colombia. Their leader, founder and ideological icon Manuel Marulanda died of a heart attack on 26 March, though the news was not made public until May. Alfonso Cano was named as Marulanda's replacement. However, 2 June 2008 would see the FARC suffer an enormous blow. The Colombian military launched a daring operation called 'Operacion Jaque' ('Operation Mate' - as in Chess). The operation secured the release of 15 hostages, among them the former presidential candidate Ingrid Betancur. The FARC had lost their most powerful bargaining chip, and been humiliated in the process. Three years later on 4 November 2011, leader Alfonso Cano was killed in an attack in the department of Cauca. Timoleon Jimenez was named as his successor. Peace talks were once again opened on 27 August 2012 and are still ongoing. Cynics will say that we have been here before, but many hope that the FARC's weakened position will make them more willing to find a lasting solution to a civil war of which the Colombian people are tired.